In a medium bowl, mix together 1 TB Cilantro, 1 TB Red Onion, 1/2 TB Jalapeno and 1/4 Tsp Salt. Smush it all together with the back of a large spoon. Really put some oomph into it! You want to get the flavors out so they party together! 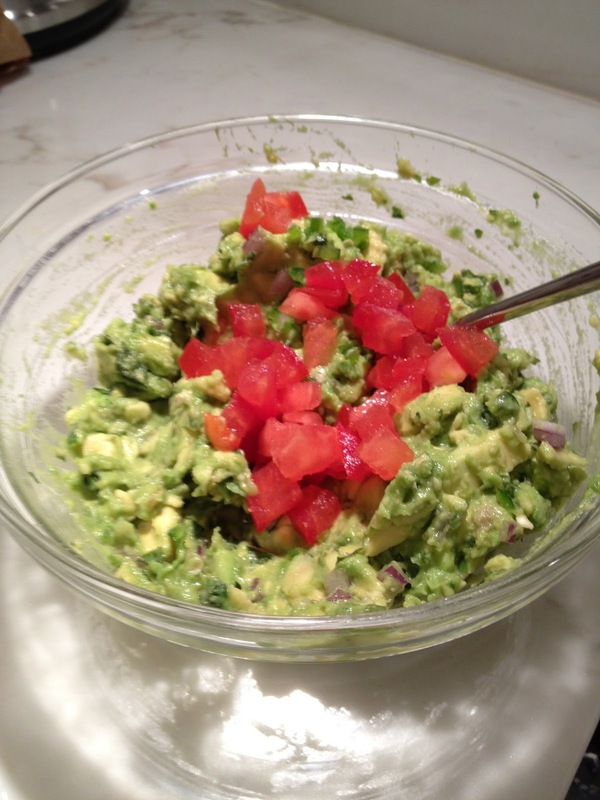 Halve your Avocados and take the pit out. 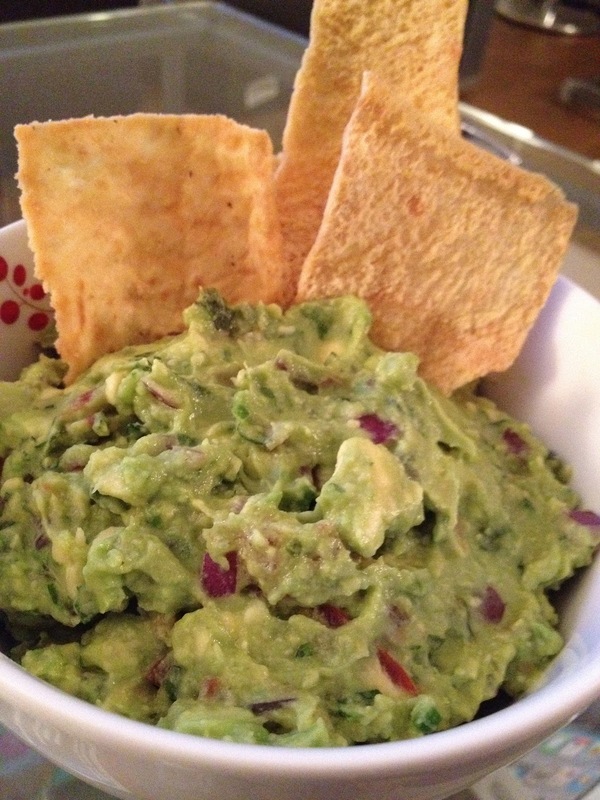 With the skin still on, score the avocados in cubes. Scoop out the meat with a spoon and fold it into your mixture with a spoon. I like to leave it kind of chunky so I mix gently. 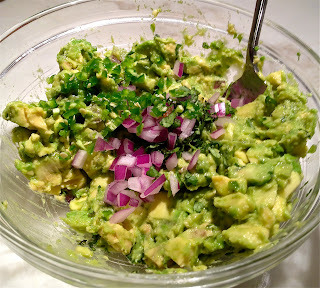 Add the rest of your Cilantro and Red Onion. Add more Jalapeno as you like (I love it spicy so I added the whole amount). Mix until incorporated. Adding the rest of the Cilantro, Onions, and Jalapeno! Squeeze the juice from half a lime and mix. Mix it all together and serve with chips! It's pretty common to eat guacamole with tortilla chips, but I actually favor it with Pita chips (slightly "healthier" since it's baked! ).